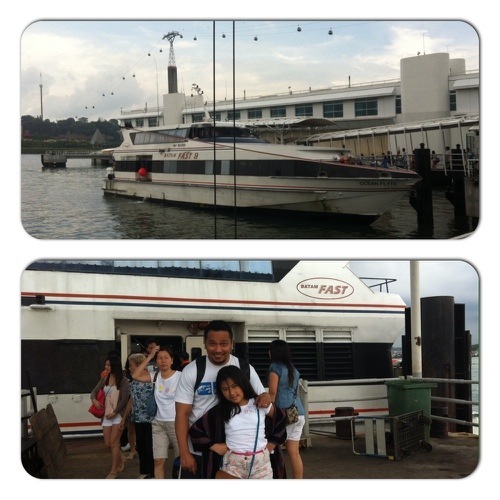 We had a weekend trip to Batam recently. It was an enjoyable, affordable and relaxing quick escape from the city. 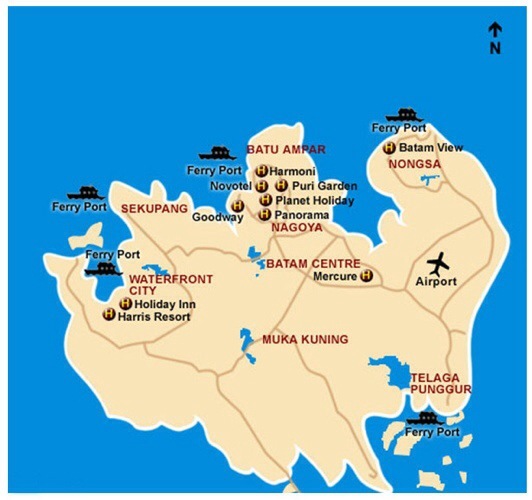 Batam is another major city in the Riau Islands of Indonesia aside from Bintan and it is also another favorite holiday and shopping destination for many Singaporeans and expats living in Singapore. Harbourfront Ferry Terminal is the port to go to from Singapore. Singapore Cruise Center is located inside Vivo City. Ferry ticketing shops are already open when we came at around 9am. I noticed that many passengers were walk-in ticket buyers but good thing that we had our ticket pre-booked and pre-paid online via Batamfast. We did not need to queue for a long time and just had to collect our return tickets then wait for boarding. 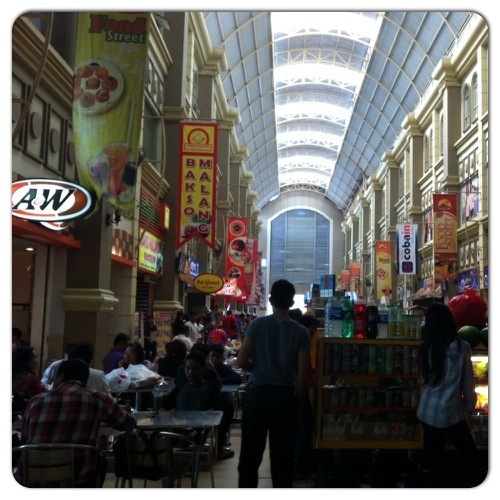 As we had ample time, we were able to eat breakfast and change money to Indonesian Rupiah. There are a lot of food choices around the cruise center, Kopi Tiam, Hans, Mo’s Burger, Mc Donald’s, etc are already open for breakfast. There are also many money changing shops in the area. Ferry is the main transportation to Batam. 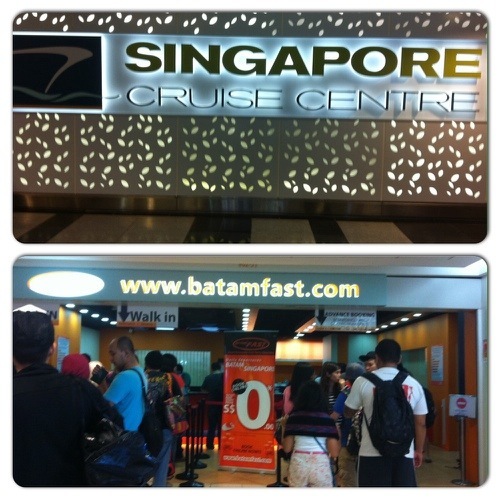 Batamfast, Wavemaster and Sindo Ferry are the big ferry companies that got routes to Batam. We stayed at Novotel in Nagoya area. The hotel taxi charged 60,000 Indonesian Rupiah (about S$6) for the hotel transfer. Novotel Batam is near Harbor Bay Ferry Terminal and Nagoya Hills Shopping Mall. The hotel has free one-way shuttle service to Nagoya Hills, DC Mall and BCS at designated times. Our hotel stay was generally okay but the hotel could improve on service and may need to renovate recreational facilities. 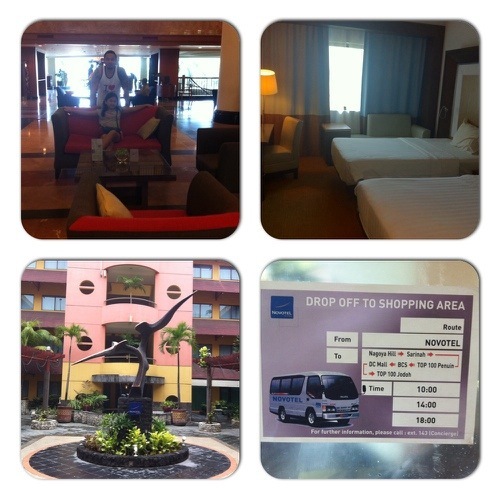 Check Tripadvisor for my full review of Novotel Batam. 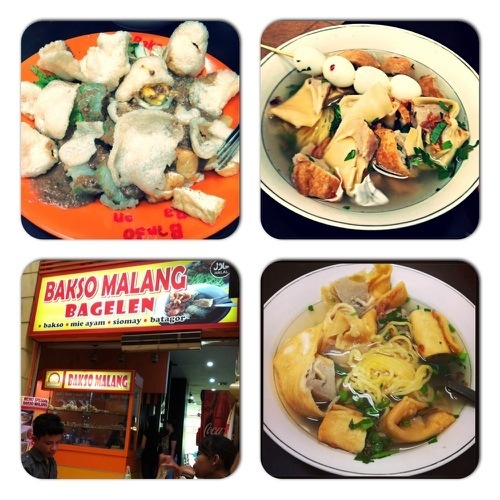 As recommended by my friends, we went to Nagoya Hills to eat Indonesian dishes such as Gado-gado (a mixture of boiled veggies, eggs, crackers in peanut sauce) and Bakso (hot noodle soup with chicken, mutton or beef meatballs). As for shopping, we only went to Nagoya Hills because the locals say it is the biggest mall in area. It has Matahari Department Store, huge section of shops selling mobile phones and replica branded bags, family karaoke lounges, kiddie arcade, some nails salon and beauty shop. There is a Wacoal shop that sells authentic Wacoal undergarments. 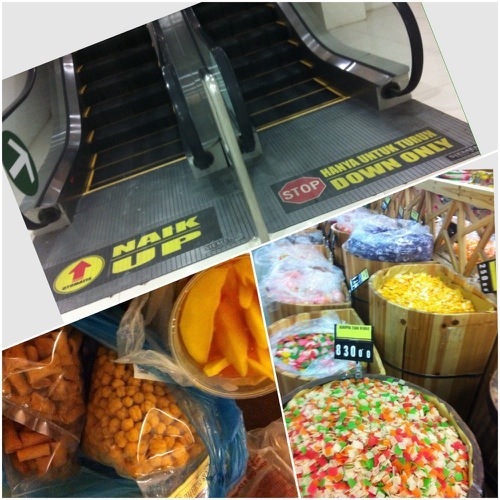 On the ground floor is the Hypermarket where you can buy many cheap items, from fresh fruit slices to dried herbs and spices to ceramic pans. What I can’t stand though is the constant smoking of people everywhere inside an enclosed, air conditioned mall. Bistro Godiva – Indo coffee here is heavenly, also a good hangout place as they got free wi-fi. A&W – the famous root beer float, burgers and fries. The small kiosks selling cheap knickknacks like prawn rolls, Indonesian crackers and preserved fruits. On our last day, we had time to check out Harbor Bay Mall which has a walkway directly to the ferry terminal. There's J Co Donuts, Coffeetown and Bistro Godiva. But what's nice is the OG Hypemarket and OG Homeat the basement. For me, shopping is much more enjoyable here because of lesser people, neatly displayed products and same cheap prices found in Nagoya Hills. Singaporeans, Malaysians and Filipinos are visa-exempt in Indonesia. If you need a visa, Bintan ports offer visa-on-arrival services for a fee. Arrive in the ferry terminal at least an hour before your departure time. Bintan is 1 hour behind Singapore time. 1 Singapore Dollar is about 10,000 Indonesian Rupiah. If you missed my post about Bintan, click here.